The Armada anchored off Calais. While awaiting communications from Duke of Parma, the Armada was scattered by an English fireship night attack and abandoned its rendezvous with Parma's army, who were blockaded in harbour by Dutch flyboats. 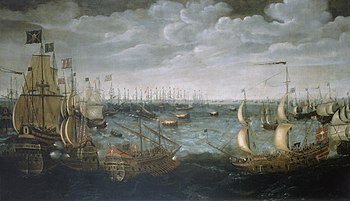 In the ensuing Battle of Gravelines the Spanish fleet was further damaged and were in risk of running aground on the Dutch coast when the wind changed. The Armada, driven by southwest winds, withdrew north, with the English fleet harrying it up the east coast of England. On return to Spain round the north of Scotland and south around Ireland, the Armada was disrupted further by storms. A large number of ships were wrecked on the coasts of Scotland and Ireland and over a third of the initial 130 ships failed to return. As Martin and Parker explain, " Philip II attempted to invade England, but his plans miscarried. This was due to his own mismanagement including appointing an aristocrat without naval experience as commander of the Armada, unfortunate weather, and the opposition of the English and their Dutch allies including the use of fire-ships sailed into the anchored Armada." . The word armada is from the Spanish: armada, which is cognate with English army. Originally from the Latin: armāta, the past participle of armāre, 'to arm', used in Romance languages as a noun for armed force, army, navy, fleet. Armada Española is still the Spanish term for the modern Spanish Navy. Armada (originally from its armadas) was also the Portuguese traditional term (now alternative, but in common use) of the Portuguese Navy. Given the Spanish advantage in close-quarter fighting, the English ships used their superior speed and manoeuvrability to keep beyond grappling range and bombarded the Spanish ships from a distance with cannon fire. The distance was too great for this to be effective, however, and at the end of the first day's fighting neither fleet had lost a ship in action, although the Spanish carrack Rosario and galleon San Salvador were abandoned after they collided. When night fell, Francis Drake turned his ship back to loot the abandoned Spanish ships, capturing supplies of much-needed gunpowder, and gold. However, Drake had been guiding the English fleet by means of a lantern. As a result of him snuffing out the lantern to slip away from the Spanish ships, the rest of his fleet became scattered and was in complete disarray by dawn. It took an entire day for the English fleet to regroup and the Armada gained a day's grace. The English ships again used their superior speed and manoeuvrability to catch up with the Spanish fleet after a day of sailing. If the Armada could create a temporary base in the protected waters of the Solent (a strait separating the Isle of Wight from the English mainland), they could wait there for word from Parma's army. However, in a full-scale attack, the English fleet broke into four groups – Martin Frobisher of Aid now also being given command over a squadron – with Drake coming in with a large force from the south. At the critical moment Medina Sidonia sent reinforcements south and ordered the Armada back to open sea to avoid The Owers shoals. There were no other secure harbours further east along England's south coast, so the Armada was compelled to make for Calais, without being able to wait for word of Parma's army. On 27 July, the Armada anchored off Calais in a tightly-packed defensive crescent formation, not far from Dunkirk, where Parma's army, reduced by disease to 16,000, was expected to be waiting, ready to join the fleet in barges sent from ports along the Flemish coast. Communication had proven to be far more difficult than anticipated, and it only now became known that this army had yet to be equipped with sufficient transport or assembled in the port, a process which would take at least six days, while Medina Sidonia waited at anchor; and that Dunkirk was blockaded by a Dutch fleet of thirty flyboats under Lieutenant-Admiral Justinus of Nassau. Parma wanted the Armada to send its light pataches to drive away the Dutch, but Medina Sidonia could not do this because he feared that he might need these ships for his own protection. There was no deep-water port where the fleet might shelter – always acknowledged as a major difficulty for the expedition – and the Spanish found themselves vulnerable as night drew on. At midnight on 28 July, the English set alight eight fireships, sacrificing regular warships by filling them with pitch, brimstone, some gunpowder and tar, and cast them downwind among the closely anchored vessels of the Armada. The Spanish feared that these uncommonly large fireships were " hellburners",  specialised fireships filled with large gunpowder charges, which had been used to deadly effect at the Siege of Antwerp. Two were intercepted and towed away, but the remainder bore down on the fleet. Medina Sidonia's flagship and the principal warships held their positions, but the rest of the fleet cut their anchor cables and scattered in confusion. No Spanish ships were burnt, but the crescent formation had been broken, and the fleet now found itself too far to leeward of Calais in the rising southwesterly wind to recover its position. The English closed in for battle. The small port of Gravelines was then part of Flanders in the Spanish Netherlands, close to the border with France and the closest Spanish territory to England. Medina Sidonia tried to re-form his fleet there and was reluctant to sail further east knowing the danger from the shoals off Flanders, from which his Dutch enemies had removed the sea marks. The English had learned of the Armada's weaknesses during the skirmishes in the English Channel and had concluded it was necessary to close within 100 yards (91 m) to penetrate the oak hulls of the Spanish ships. They had spent most of their gunpowder in the first engagements and had, after the Isle of Wight, been forced to conserve their heavy shot and powder for a final attack near Gravelines. 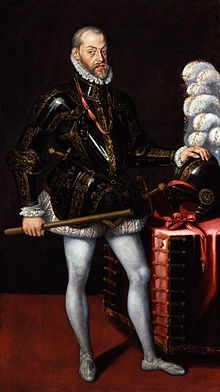 During all the engagements, the Spanish heavy guns could not easily be run in for reloading because of their close spacing and the quantities of supplies stowed between decks, as Francis Drake had discovered on capturing the damaged Rosario in the Channel. Instead the gunners fired once and then transferred to their main task which was to board enemy ships, as had been the practice in naval warfare at the time. In fact, evidence from Armada wrecks in Ireland shows that much of the fleet's ammunition was never spent. Their determination to fight by boarding, rather than cannon fire at a distance, proved a weakness for the Spanish; it had been effective on occasions such as the battles of Lepanto and Ponta Delgada (1582), but the English were aware of this strength and sought to avoid it by keeping their distance. On the day after the battle of Gravelines, the disorganised and un-manoeverable Spanish fleet was at risk of running on to the sands of Zeeland due to the westerly component in the wind. Luckily for the Armada, the wind then changed to the south, enabling the fleet to sail north. The English ships under Howard pursued to prevent any landing on English soil, although by this time his ships were almost out of shot. On 2 August Old Style (12 August New Style) Howard called a halt to the pursuit at about the latitude of the Firth of Forth off Scotland. By then, the only option left to the Spanish ships was to return to Spain by sailing round the north of Scotland and home via the Atlantic or the Irish sea. The spanish ships were beginning to show wear from the long voyage and some were kept together by having their damaged hulls strengthened with cables. Supplies of food and water ran short. The intention would have been to keep well to the west of the coast of Scotland and Ireland, in the relative safety of the open sea. There being no way of accurately measuring longitude, the Spanish were not aware that the Gulf Stream was carrying them north and east as they tried to move west and they eventually turned south much closer to the coast than they thought. Off Scotland and Ireland the fleet ran into a series of powerful westerly winds, which drove many of the damaged ships further towards the lee shore. Because so many anchors had been abandoned during the escape from the English fire-ships off Calais, many of the ships were incapable of securing shelter as they reached the coast of Ireland and were driven onto the rocks and local inhabitants looted the ships. The late 16th century and especially 1588, was marked by unusually strong North Atlantic storms, perhaps associated with a high accumulation of polar ice off the coast of Greenland, a characteristic phenomenon of the " Little Ice Age". More ships and sailors were lost to cold and stormy weather than in direct combat. 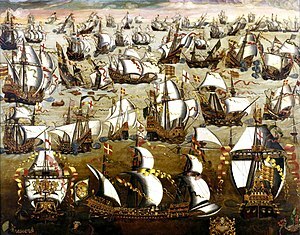 The following year the English launched the Counter Armada, with 23,375 men and 150 ships under Sir Francis Drake but several thousands were killed, wounded or died of disease    and 40 ships sunk or captured. . The attempt to restore the Portuguese Crown from Spain was unsuccessful while at the same time the opportunity to strike a decisive blow against the weakened Spanish navy was lost. 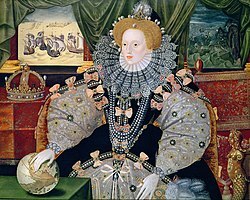 The failure of the expedition depleted the financial resources of England's treasury, which had been carefully restored during the long reign of Elizabeth I. Most military historians hold that the battle of Gravelines reflected a lasting shift in the balance of naval power in favour of the English, in part because of the gap in naval technology and cannon armament which continued into the next century. In the words of Geoffrey Parker, by 1588, "the capital ships of the Elizabethan navy constituted the most powerful battlefleet afloat anywhere in the world". The English navy yards were leaders in technical innovation and the captains devised new battle formations and tactics. Parker argues that the sleeker and more manoevrable full-rigged ship, amply cannoned, was one of the greatest advances of the century and permanently transformed naval warfare. Knerr (1989) has reviewed the main trends in historiography over five centuries. For 150 years writers relied heavily on Petruccio Ubaldini's A Discourse Concernye the Spanish Fleete Invadinye Englande (1590), which argued that God decisively favoured the Protestant cause. 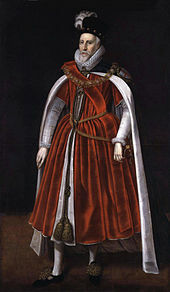 William Camden (1551–1623) pointed in addition to elements of English nationalism and the private enterprise of the sea dogs. He also emphasized that the Duke of Medina Sidonia was an incompetent seaman. David Hume (1711–1776) praised the leadership of Queen Elizabeth. However the Whig historians, led by James A. Froude (1818–1894), rejected Hume's interpretation and argued that Elizabeth was vacillating and almost lost the conflict by her unwillingness to previously spend enough to maintain and supply the Royal Navy's fleet of ships. Scientific modern historiography came of age with the publication of two volumes of primary documents by John K. Laughton in 1894. This enabled the leading naval scholar of the day Julian Corbett (1854–1922) to reject the Whig views and turn attention to the professionalization of the Royal Navy as a critical factor. 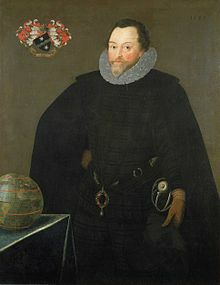 Twentieth-century historians have focused on technical issues, such as the comparative power of English and Spanish naval guns and the degree of naval battle tactics credit due Francis Drake and Charles Howard. Inclement weather in the English Channel and on the oceans at the time has always been cited as a major factor to the outcome. Bertolt Brecht's 1935 poem Questions From a Worker Who Reads, written to emphasize the role played by the lower classes in history, includes the lines: "Philip of Spain wept when his armada went down. Was he the only one to weep?" ( marxists.org). 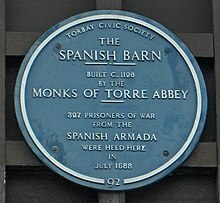 Several alternate history writers have published variant descriptions of how history might have proceeded if the Spanish Armada had won, including John Brunner ( Times Without Number, 1962), Keith Roberts ( Pavane, 1969) and Harry Turtledove ( Ruled Britannia 2002). ^ Aubrey N. Newman, David T. Johnson, P.M. Jones (1985) The Eighteenth Century Annual Bulletin of Historical Literature 69 (1), 108 doi: 10.1111/j.1467-8314.1985.tb00698. ^ Herbermann, Charles, ed. (1913). "The Spanish Armada". Catholic Encyclopedia. New York: Robert Appleton Company. "…the widespread suffering and irritation caused by the religious wars Elizabeth fomented, and the indignation caused by her religious persecution, and the execution of Mary Stuart, caused Catholics everywhere to sympathise with Spain and to regard the Armada as a crusade against the most dangerous enemy of the faith," and, "Pope Sixtus V agreed to renew the excommunication of the Queen, and to grant a large subsidy to the Armada, but given the time needed for preparation and actual sailing of the fleet, would give nothing until the expedition should actually land in England. In this way he eventually was saved the million crowns, and did not take any proceedings against the heretic queen." ^ Aubrey N. Newman, David T. Johnson, P.M. Jones (1985) The Eighteenth Century Annual Bulletin of Historical Literature 69 (1), 93–109 doi: 10.1111/j.1467-8314.1985.tb00698.